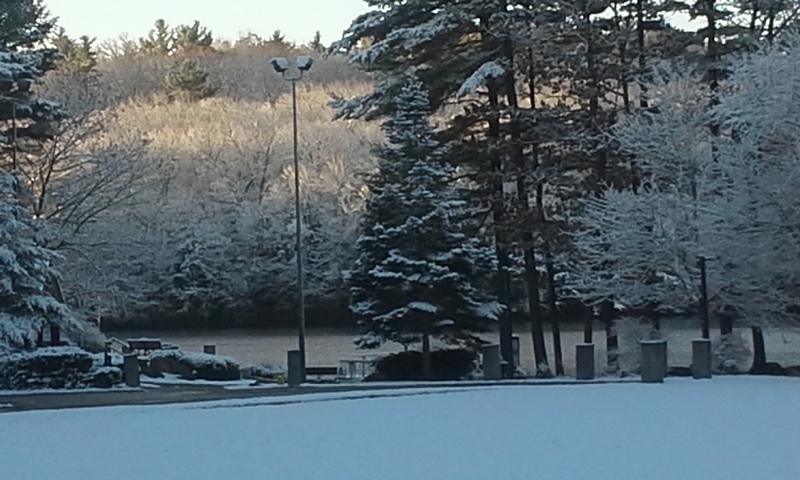 Early winter has sprung here in New England……. Winter officially may not be here for about another three weeks, but Mother Nature has seemed to be preparing us for another run at this white stuff for another winter season, this is fine as you can’t totally predict what Mother will do and you can’t change the seasons, even though some may even try? Winter is one of the four seasons, in order to get another crack at the summer season, you have to go through the winter season, some may say they don’t like winter and want it to go away, well if you don’t like it that bad, than go to a warmer climate and stop being so bitter of it, true the snow may inconvenience us, but it is only for a short time and if you take it in stride and moderation, than before you know it, summer will be back with us again. We all walk a path along our journey of life, we all have to accept the bad to get to the good, when we do this it makes us not take for granted the good when it comes to us, the same goes for the seasons of the calendar year, we have to learn to accept the winter so we don’t take for granted the season of summer and we fully enjoy it when it is upon us, instead of feeling down and getting moody when it snows, let the snow get you upbeat while you go out and find ways to enjoy the beauty of the winter, yes I said beauty of winter, all the seasons have their own distinct beauty within them, much like we all as Humans that walk this Earth, after a nice fresh snowfall, it is a good time to go out and take some good pictures as this is when winter is so beautiful, even if your not a photography buff, it is a good hobby to learn for all seasons and especially the winter, as this will help your winter blues and keep you from going into hibernation, while all the rest of us pass you by. winter is like everything else as you have to look past what you don’t like, so you can see the true beauty deep within the core of what you are looking at. Winter may be cold and have its moments like shoveling out after a storm, true that is a lot of work, but a little work should never stop you from truly enjoying what winter really is, the white snow that covers the ground, is God’s way of putting a blanket on the Earth, so as the season of spring comes to us, we see with our eyes Earth rejuvenating itself and becoming beautiful with new growth, like a new born baby to its new Mom and Dad, the seasons are part of our journey as we walk it, we just have to accept them all, to truly see the true beauty each one holds, like we all as Humans, walking our paths along our journey of life. Previous postThe power of the music that is around us everyday of our lives…….